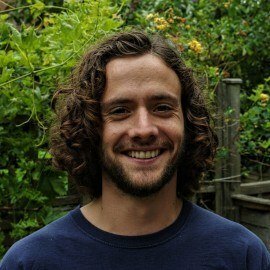 Alex Riley is a 27-year-old science writer focusing on long-form features in evolutionary biology, conservation, and health. His work has appeared in Aeon, Nautilus, New Scientist, Hakai Magazine, PBS’s NOVA Next, BBC Earth, and BBC Future. In 2017, he wrote a feature for The Open Notebook about managing a career in science writing while living with depression. It became the most popular piece in the magazine’s seven-year history. It also inspired his first book. Bought by Ebury UK and Scribner US for publication in Spring 2020, it will provide a fresh insight into the global burden of depression and, crucially, its treatment. From the philosophers of Ancient Greece and Mesopotamia, through the rise of antidepressants and talking therapies, and to the current movement of Global Mental Health, this book will take the reader on a journey through the 2000-year history of this mental illness, and how science is able to treat it.